In today’s era of new and emerging threats, event producers have to be more careful and more aware than ever. To accomplish this, decision-makers should approach security from two fronts. Firstly, events of all sizes should have a comprehensive emergency plan in place. Whether your event takes place in a stadium, conference center, or outdoor pavilion, there is always the potential for damage, disruption, violence, and disaster. 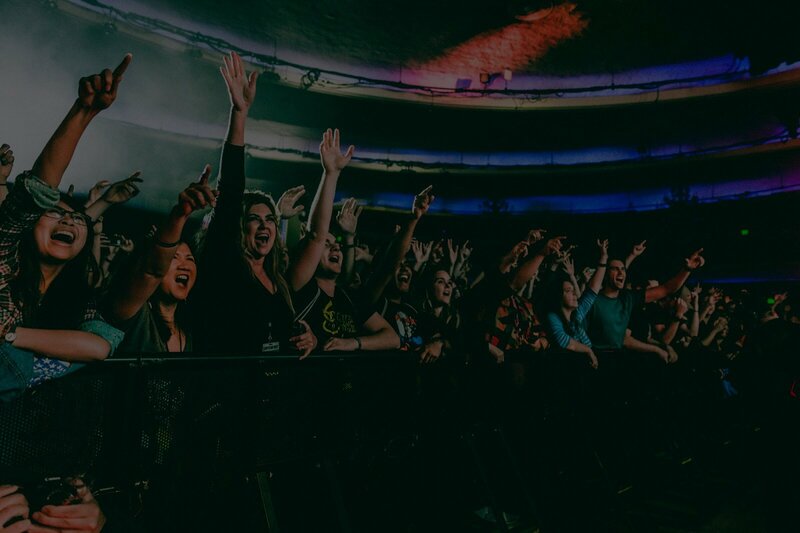 Everything from aggressive fans to disorganized crowds can pose a threat to attendees, and with so many moving parts, a robust event security strategy is a must. Secondly, situational awareness must be made a real priority. As Mike Tyson eloquently noted, “everyone has a plan until they get punched in the mouth.” SA is what allows you to execute a strong, well-informed response to security incidents both during and after they occur. Strong and effective entry control starts long before the event. Make sure all possible entrances, gates, and doors are secure, so that your venue isn’t “porous.” Plan for an appropriate number of entrances and exits with well-marked barriers for streamlined crowd control. Perform inspections of equipment trucks during setup (and breakdown), and use RFID-tagged trucks to track critical assets if possible. 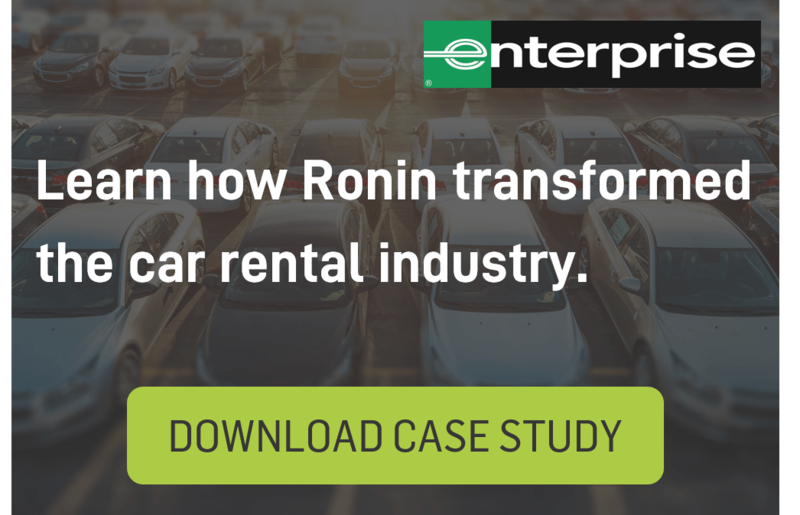 Plan a credentialed access system with digital photo IDs for vendors, service providers, and the press — this can also help you track those individuals during the event. On the day itself, body scanners and bag inspections can eliminate contraband items. Trained staff should watch for suspicious facial cues, but those efforts are best paired with facial recognition technology that can identify persons of interest, banned fans, criminals, and potential terrorists. High-resolution video surveillance, body cameras, and other sensors provide real-time visuals from key perspectives both inside and outside the venue, greatly enhancing what security staff can see from the ground. Active control-room monitoring of these feeds can inform decision making and locate threats. Smart security cameras powered by artificial intelligence can even locate individuals as needed, whether that means finding a lost child or tracking a suspicious figure. Motion sensors can alert you in the event that unauthorized individuals wander into restricted areas. Security cameras won’t replace your core security personnel — they’ll simply help them do their jobs better by improving their situational awareness. Logging and analyzing historical video data post-facto can also help event security teams plan for the future. Before the event, your head of security should review venue-specific security procedures with the members of their team. Familiarize your team with fire exits and evacuation routes, and coordinate with local emergency departments to arrange a staging area for medical, fire, and police vehicles. You may choose to include on-site health and safety services as well. You should have a safety plan in place for both minor emergencies, like unruly behavior or broken equipment, as well as more disruptive or dangerous situations like fire, terrorist attacks, or extreme weather conditions. Event security personnel should be briefed on these procedures beforehand, and all staff must remain alert, aware, and in communication during the event itself in case any of these situations arise. Situational awareness is site-specific by nature. Any good event security strategy will take the particularities of the venue and surrounding location into account. When you’re in the planning and pre-planning stages, you should make sure to locate hazardous areas, and identify any weak points in the perimeter. If there’s a back entry for staff, security should be assigned to check their IDs there. Double-check any legal specifications for the location and event, like maximum crowd capacities and fire regulations. Your security checklist should account for the event space’s surrounding environment too — what’s the parking like? Where are the nearby bars? police stations? fire departments? subway stations? If you can anticipate the flow of foot traffic during your event, you can implement appropriate safety and security measures, direct ticket holder lines with barriers, and define outdoor boundaries with fencing. Make sure to keep a detailed map of your venue, with all potential problem areas marked, along with all security guards and non-human security assets. This map should be digital, connected, and location-enabled. Ideally, it will form a common operational picture that can be shared between all members of your security team. Choosing the right staff, giving them the right training, and ensuring they have the situational awareness tools they need — each of these forms a crucial component of any well-designed event security plan. Depending on the event, you may need armed guards or even on-site police for quick emergency responses. It should go without saying that you should use only well-vetted and trained security staff. Given that event security teams are often assembled for short periods of time, achieving effective communication amongst team-members can be a challenge at first. To combat this, leaders should outline a clear chain of command and practice coordinating communication channels to avoid confusion during the event. Lastly, make sure to have redundancies. If one member of your staff calls out sick on the day of the event, it should have zero impact on your ability to effectively execute your security plan. Of all the boxes you can check, perhaps none will give your security team a greater return than that of a situational awareness platform. These tools pull all of your security assets (and the data they produce) into one place, creating a common operational picture (COP) that keeps everyone on the same page. Integrating data from video surveillance, facial recognition, and other sensors, SA software for event security can visualize the most important information for each team member. Think of an annotated venue map that provides real-time updates on potential threats or issues. This type of interface can likewise allow for multi-directional communications through video, voice, and text, for better, faster, more informed responses. Situational awareness tools can augment and extend your core team’s capabilities, in some cases preventing the need to hire additional staff. Public events are integral to forging a sense of community. They bring the power to entertain, to educate, and to unite attendees from all walks of life around a commonly shared interest. But this can only happen when people have a safe, secure space in which to congregate. In the absence of well-planned event security, disorganized crowds can bring chaos and even danger. 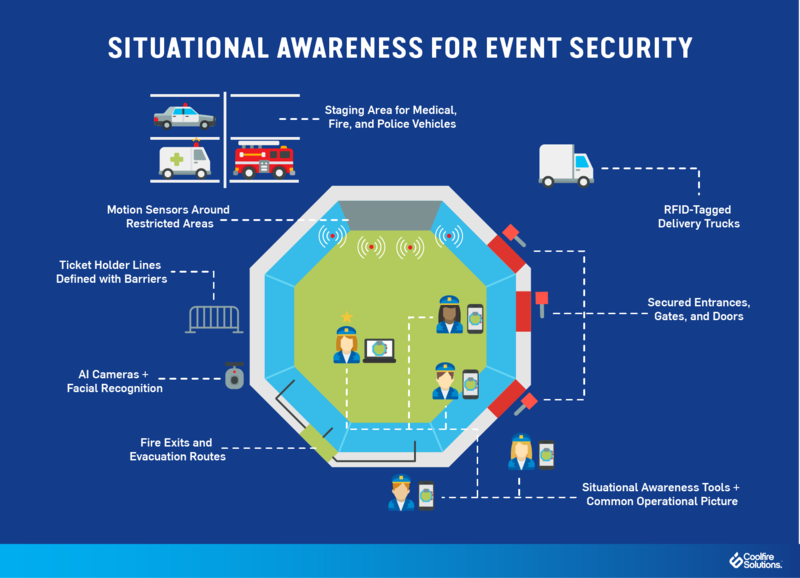 Now more than ever, events require a special emphasis on safety, and event producers would do well to purchase, build, and integrate situational awareness solutions that help security teams stay one step ahead.